With the ever increasing popularity of paranormal television and the ease of website creations, we as fans are inundated with thousands of websites and podcasts. Many times we are driven to these sites only to come away disappointed or overloaded with advertisements, old news, or lack of content. However when a true gem is found it leaves us with the feeling of accomplishment and excitement to promote it. This has been my experience over the past few years and one site comes to mind and that is Jim Harold - The Best of Paranormal & Video On Demand. JimHarold.Com is a robust site made up of 4 highly actives sub shows: The Paranormal Report with Clayton Morris (Fox TV Fame), The Paranormal Podcast, Weird News Radio with Kate Botello and Jim Harold's Campfire. An audio based show that brings authors, experts, television personalities, and researchers all together in a specific topic oriented segments. The format for this show is educational Q&A between Jim and his guests. Most recent guests have included legendary authors in the field such as Jeff Belanger and Brad Steiger, as well as Minnesota based Paranormal Radio show host / TV Superstar Dave Schrader. Audio/Video show with Co-Host Clayton Morris (FOX and Friends) that delivers fresh, new hot topics in all things paranormal. Jim and Clayton scour the world looking for the best that the field has to offer and bundles all the stories into one package. Audio based show that allows you the listener to re-tell your real life paranormal or ghost stories. Like the title suggests, you will get the feeling of being beside a rippling fire while caller after caller tells tales from the other side. 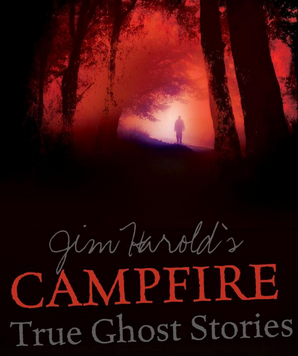 Jim Harold has also recently authored his own book called 'Jim Harold's Campfire: True Ghost Stories'. This is a collection of ghost stories accumulated throughout the years by Jim and his guests. Jim has not only created his own niche but he has perfected it. Show after show he brings the fans what they want - new exciting stories that touch all forms of the paranormal from Ghosts, Legends, Aliens and Black Eyed Kids. I would highly recommend that you check out his site and draw your own conclusion but I would be willing to bet you will find something that interests you.